William Tell Overture by Gioacchino Rossini. © 2008 Bill Berends. ALL RIGHTS RESERVED. 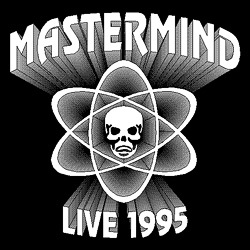 LIVE 1995 is the first in a series of digital-only releases from the Mastermind archives. This is THE live album we had originally intended on releasing in the late 90's but we were encouraged to release the Live In Tokyo disc instead. That was so much more immediate to our touring situation then and its purpose was after all, tour support. It was never intended to be considered an "official" release. Afterwards our thinking was you can only release so many live discs, so this one has sat on the studio shelf for over 10 years. This is the only live recording of Tragic Symphony with the original trio line up that we're aware of. It has been so long the source info has been lost, but we believe this recording came from our Progscape performance in Towson Maryland with Anekdoten, so it may actually be from 1994. The cover art as some may recall was also a concert tee shirt design. We still see some of them from time to time. Amazing. This is a much better recording than Live In Tokyo disc which was recorded on a video camera and room mics. LIVE 1995 was recorded from console feeds and is quite an inspired performance actually. Probably the best representation of Mastermind at the peak of the trio era. We hope you enjoy it. Listen to the entire album at bandcamp! Download PDF CD cover and print.